Wooden houses at one time enjoyed immense popularity, then with the development of modern building materials, they were a little marginalized. But today, wooden buildings regain their former glory. This is due to the fact that only in a wooden house the atmosphere is filled with harmony and tranquility. Finishing in such a house can be made of any material. But this is not very appropriate, since the walls made of logs look much more attractive and more natural than paint or wallpaper. Floor covering scheme in a wooden house. But the question of surface finish will depend only on personal taste preferences. As for the construction of the wooden floor of the second floor, it is also made of beams. There is no other option. Reinforced concrete slabs are not laid on wooden walls. In the finished form, the entire structure is made of natural material - wood. 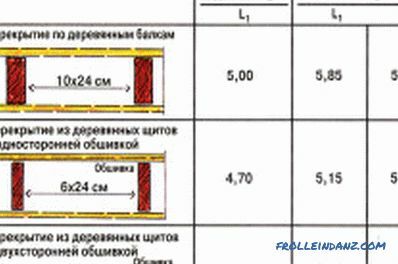 The floor structure must be very strong and withstand the expected loads from above It is recommended to calculate the magnitude of loads with a margin. The wooden beams of the ceiling must be rigid for arranging the floor on the second floor and the ceiling on the first. The overlap must have the same service life as the whole wooden house as a whole. Reliable overlap at the construction stage will ensure safety and prevent repair work. For a floor it is very important to equip additional heat and noise insulation. Wood floor plan with split beams. Wooden beams, as a floor, perform all the main functions, and they differ from reinforced concrete slabs in a simpler installation. Human power is enough, there is no need to use heavy equipment. Using beams, it is possible to significantly reduce the overall load on the foundation. The advantages of hardwood floors and the low price. And with proper processing and installation of such a structure will last more than a dozen years. The disadvantages of wood include such a destructive process as decay. In addition to the disadvantages of wood products is a high flammability in case of fire. In order to minimize the likelihood of such processes, it is very important to prepare the beams immediately before installation work. For overlapping it is best to use conifers. 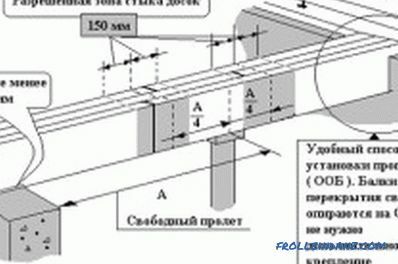 In order to avoid deflection of the beam, it is not recommended to make a span of more than 5 m. If the span is longer, it is necessary to make additional supports in the form of columns or girders. It is from how correctly the estimated load will be calculated that you can create a high-quality, reliable structure that will perform its basic functions and will last a very long time. Most often, the beams in the room are stacked in the direction of the shortest wall. This makes it possible to make the span minimal. The step between the beams will depend primarily on the size of the section. On average, this size is 1 meter. To make the distance less is not worth it, since it will only increase the consumption of material and the complexity of the work. 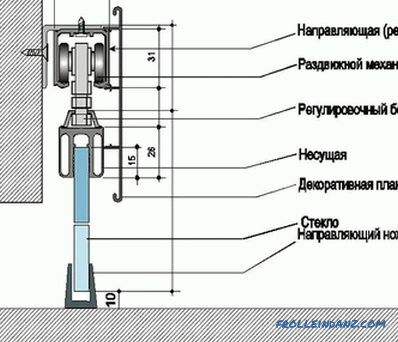 Schematic of installation of floor beams. It is better to give preference to beams with a large section than to make a ceiling with a small step and a weak overlap. 500 mm span - section 150 * 225 mm. If the overlap is made between the first floor and the attic, then the step between the material should be the same, but the section of the beams can be chosen much smaller. This is due to the fact that the load in the attic will be significantly less than on the full floor. As for the building material, the wood should be of high quality and well dried. Before carrying out all the work, it is necessary to treat each separate element with a means that will prevent rotting and make the wood less flammable. Calculation table of wooden floors. Do it yourself enough to make overlaps with your own hands, the main thing is to follow all the recommendations and technologists. Beams are laid on the walls with ends.In order for them to be securely fixed, special connectors are cut into the wall for the required cross-section size. Placing a beam into the socket, it is lined with tow from all sides. This will prevent the formation of cold bridges in the future. If the beam has a section size smaller than the wall, then the recess can be made not to the full depth. The second way of fixing the ceiling to the wall is a dovetail. In order to strengthen this mount, additionally used fasteners in the form of a metal bracket. This mount is most often used if the walls of the house are made of timber. 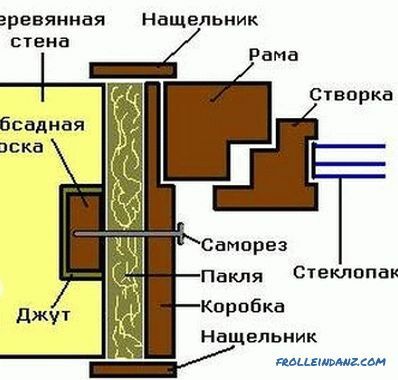 In a wooden house, a bolt with a beam on the same level can be fixed with a clamp. It is worth highlighting the most common type of fastening beams to a bolt - this is the use of cranial bars. Such bars are attached to the bolt, and already on them is mounted beam. It is recommended to use bars with a section of 50 * 50 mm. For a panel house, beams are laid using a slightly different method. In the wall, special sockets are made into which the ends of the floor elements are laid. The optimum depth of the socket is 150-200 mm, and the width should correspond to the dimensions of the section. In addition, it is necessary to leave a gap on each side of 10 mm. As in the first case, the ends of the materials before laying in the nests must be wrapped with tow. Metal anchors can also be used for fastening elements. With this mount, the end of the beam will not go into the wall. In order to make the ceiling of the first floor, it is necessary to roll forward. This stage of work can be carried out using a wide variety of materials. In the most common form, cranial bars are nailed along the side of the beam. Such bars should have a cross section of 40 * 40 or 50 * 50 mm. They should not protrude below the main beam. It is on them that flat boards will later be mounted, the thickness of which should be in the range of 10-25 mm. In order to pave the ceiling, you can use sheets of plywood. 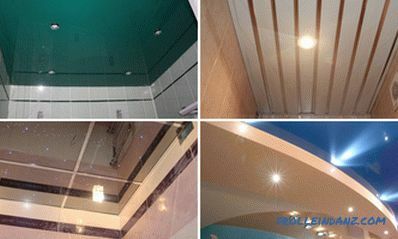 Using sheet material, you can get a perfectly flat ceiling. The minimum thickness of plywood in this case should be at least 8 mm. It is very important to control that the edges of the sheets fit exactly in the middle of the beam. Instead of using cranial bars, special grooves can be made in the beams. 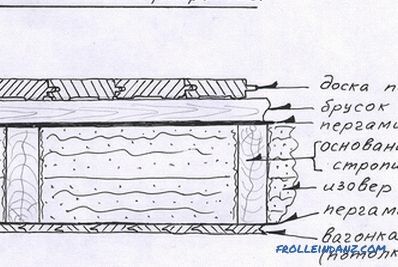 In order to use such a method, the cross section of the beam must be thought out in advance. As a variant of the flooring, the lower part of the floor elements may remain open, for this, the cranial elements are nailed not evenly, but slightly higher. Thus the flooring is carried out between the beams. After the roll forward has been done, you can start laying the floor of the second floor. If instead of the second floor there is an attic, then the fulfillment of the subfloor is enough. If on the second floor there is a room, then the floor must be made of quality material. Wooden boards will be laid directly on the logs. 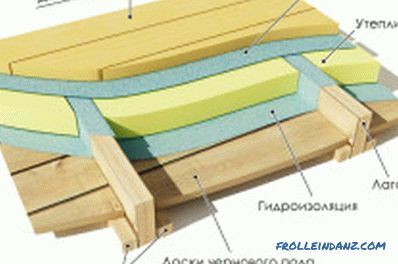 In a wooden house it is very important to make good thermal insulation. This also needs to be done with interfloor overlap. 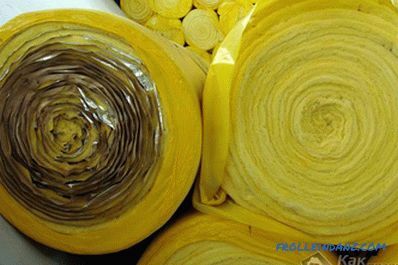 Insulating materials today are presented in a very wide range. It is on how correctly selected material and properly laid, will depend on the insulating quality of the room. This is especially important if, instead of the second full floor, an attic is assumed. Therefore, in order that the heat does not go away from the room, it is necessary to put thermal insulation between the beams. Mineral wool will be a good option. 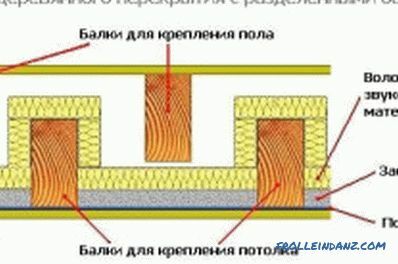 It has very high technical qualities, but it is not a very good sound insulation material. In addition, after a certain period of operation, its structure changes, and microparticles can be released into the environment. 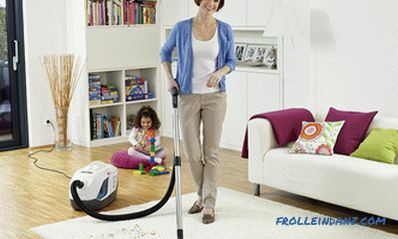 Particular attention should be paid to the floor insulation noise insulation. When laying any material, it is worth controlling its location. There should be no gaps between the lags and the isolator. Sheet materials must be cut strictly to the size, roll materials are stacked a little bit right next to it. If the ceiling is installed between the first floor and the attic, a vapor barrier must be installed. Polyethylene film can cope with this. 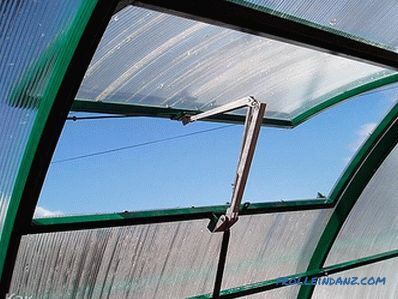 In order for condensate to escape from under the film, it is necessary to leave ventilation gaps.